New research by Pew confirms that adults over the age of 30 use Facebook more consistently than any other platform – perhaps furthering the perception that Facebook just isn’t cool anymore. 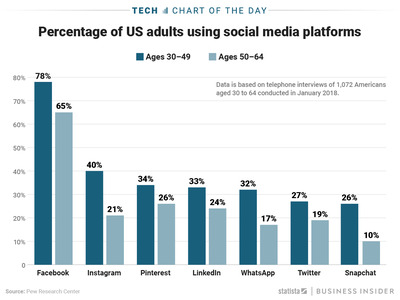 It appears like the social media platforms are seeing an age divide. 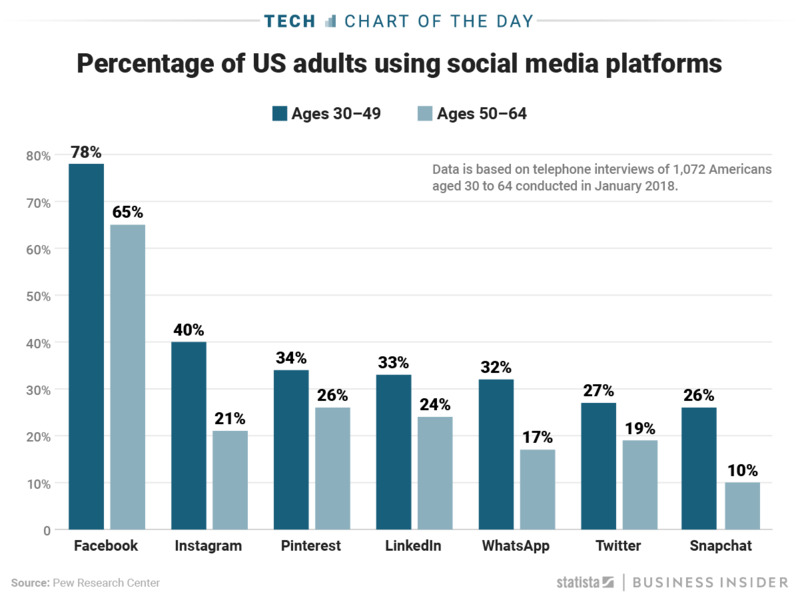 As this chart by Statista shows, a mere 10% of Americans over the age of 50 are on Snapchat, while 68% of the same group are on Facebook.